We have just returned from our annual visit, and our update is as follows. Since Alex, our man on the ground, died in January 2017 we have been struggling to keep on top of things from the UK. 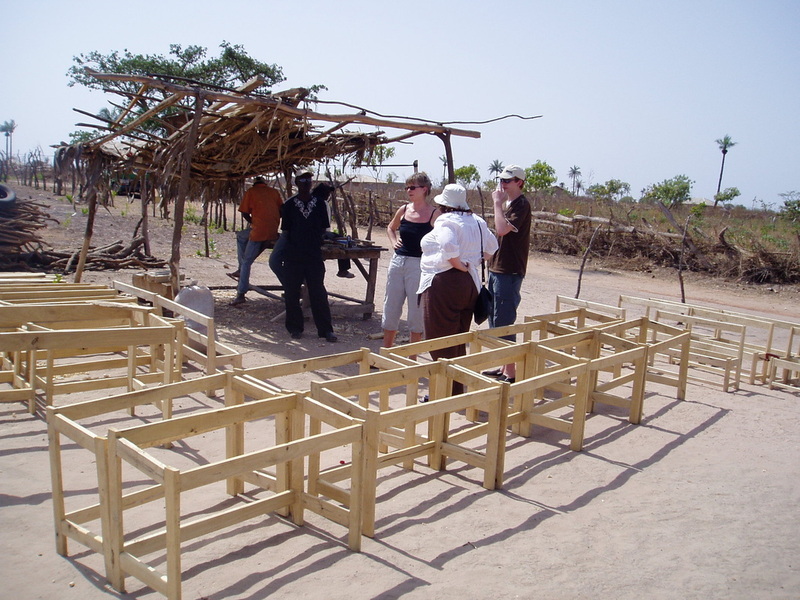 We therefore approached severel similar charities who have personel in the Gambia to see if they could help us. They are a UK based charity but have a very capable person who lives in The Gambia, called Lady Kira Dalton. She has been a great help to us over the last 18 months. So much so that we have agreed to join forces and work together. They work in a slightly different way to us, in as much as they do not have individal children sponsored, but have an overall school funding budget. We have decided to adopt the same approach, and therefore any supporters who are sponsoring individual children will now pay into the overall funding budget for Makumbaya School. We hope this is acceptable to all our supporters. Since our last visit in 2018, Makumbaya have at last implimented all the recommendations we have put forward and are now able to be almost self sufficient. 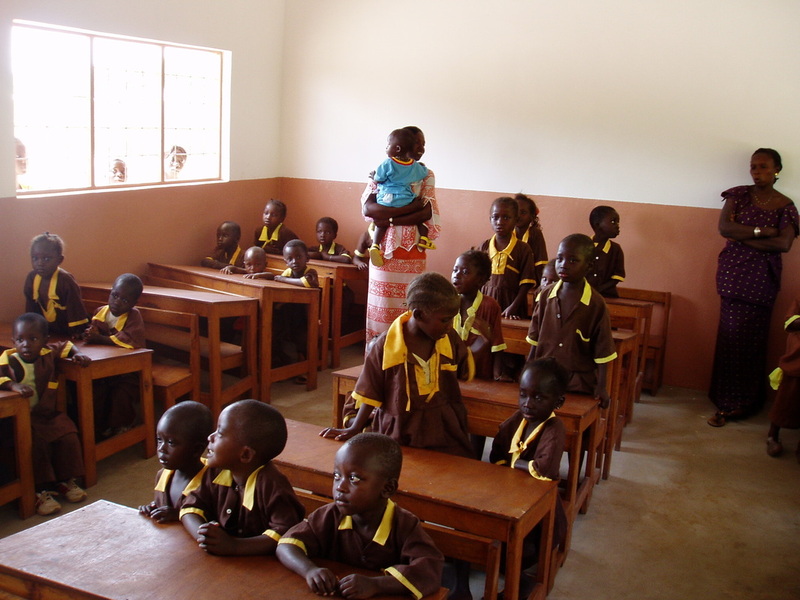 The Gambian Education Department have recently issued new directives on how nursery schools should be run, a proper curiculum, and methods of working. We are pleased to say that our teachers have taken all this on board and we are very pleased with their attitude and progress. Also all the maintenance that was needed from last year has been completed. Following on from last year, our project of the garden did not get off to a good start. The area that was allocated was found not to be suitable as in the rainy season it flooded very badly. We have now relocated it to behind the school building and planting has begun with, onions, lettuce, casava and beans all looking healthy. The government has now changed as you may have heard on the news and it was quite a worrying time for everyone, but all seems to have settled down now. 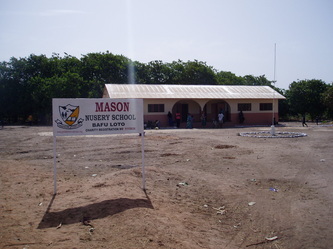 Electricity has been installed in to the village and a supply has been connected to the school. They now have lighting and some power points. We are not sure whether the supply can support computers, but we will find out. ​On our visit we foung that the supply is not safe and have arranged for the installer to go and make it safe. We have also foung that the pump for the well has broked and so are in the process of having it inspected and repaired. Also some of the play equipment has been broken and is in need of repair, so our focus for the moment is repair and maintenance. We did not take our annual trip to The Gambia this year​, but lots has happened during the year. On our return last year we were made aware of Thomas Cook Childrens Charity by one of the air hostesses. 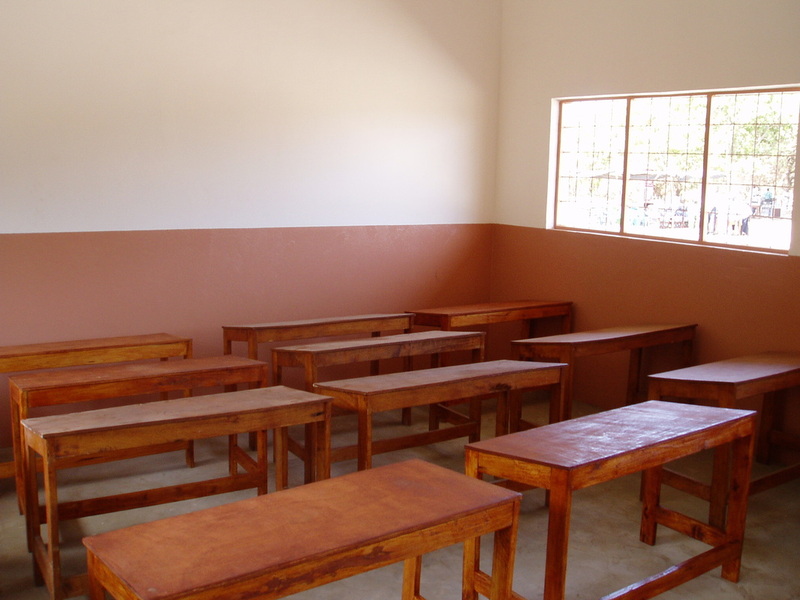 Our project for the coming year was to provide Makumbaya with 2 more toilets and upgrade the existing ones, provide play equipment, and have the classrooms and the outside wall painted with letters of the alphabet and pictures of animals. The cost of providing all this was about £2,500 and we applied to the Thomas Cook Children's Charity for this amount and to our amazement we were granted the full amount. This project has now been completed, so a big thank you to Thomas Cook! Please check out our photo page. We have just booked our next trip which will be in January 2018 when we will be concentrating on the Garden. We have just returned from our annual trip to the Gambia, and wish to update you on the last years activity and our thoughts for the coming year. First we must tell you that our friend and colleague in the Gambia colleague (Alex) Ngum tragically died on Friday 26th February. We knew he had been ill with pneumonia prior to our visit, and on our arrival we were told that they were testing him for TB. He was very thin and frail and obviously very ill. The hospital cleared him of TB and were testing his liver and kidneys. He couldn't work with us while we there, but we visited him several times. We saw him on Wednesday 24th to say goodbye and to look after himself, but he died on Friday, from congestive heart failure, and cirrhosis of the liver. He will be sorely missed. We had a very busy time with The Grand Opening of Makumbaya School and sorting out the new regulations regarding Nursery schools, set out by the government. Thanks to small charities like us supporting nursery schools, the Government have finally decided to sort a few things out. They have set out a policy that all nursery schools should be annexed to their nearest Lower Basic School(Junior school). This policy is voluntary and each school has to write to the education department to opt out. 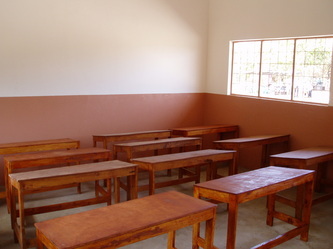 The advantages of annexing is that their expenditure is taken over by the Lower Basic School in their increased budget and the children do not have to pay school fees. not necessarily honouring their promises. If a school wishes to opt out of annexing it must provide a sponsor that is willing to support the school. This is to stop people and charities building a school and then abandoning it. We have discussed this situation with Makumbaya, and we both agree that the school is better off not annexing. We are writing to the education department to tell them we will be continuing to support Makumbaya and have put in place financial and social safeguards for this to happen. This will allow us to not spread our finances too thinly and allow us to concentrate all our resources on Makumbaya. 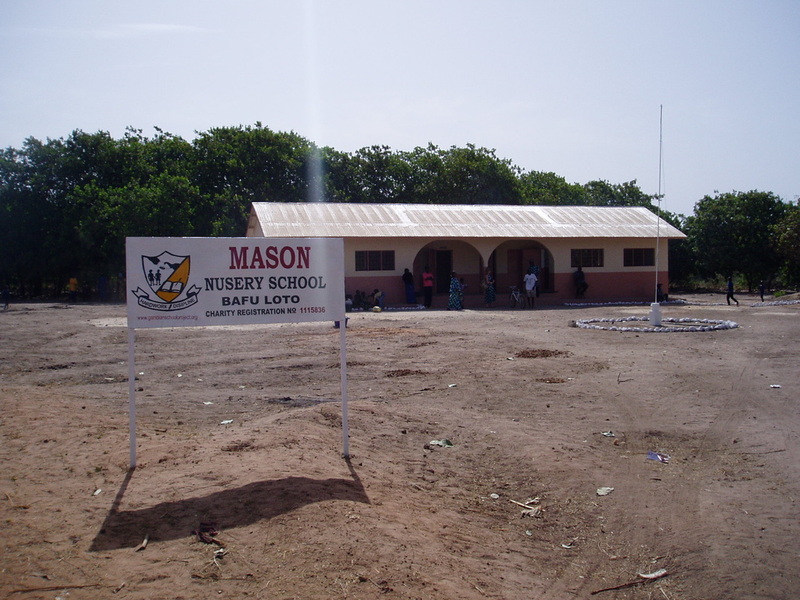 The Gambian Schools Project is a registered Charity started by Janet & John Mason in April 2004. It is dedicated to supporting Nursery Schools in the Gambia with resources, materials, and advice. Our funds are raised by sponsorship of the children (it costs £36 per year to see a 4-8 year old through their nursery education. ), Donations,and special events such as Charity dinners, Charity golf days, and sponsored marathons.